“[Growing up,] I was a track runner, I ran cross-country,” she said. “I’ve always been somebody who stays active and likes working out and sweating and pushing myself . . . I used to do Spinning before it was SoulCycle, and I was a big Spinner in the early 2000s. I’ve done weight training; I was a big runner for years, but I don’t have great knees anymore . 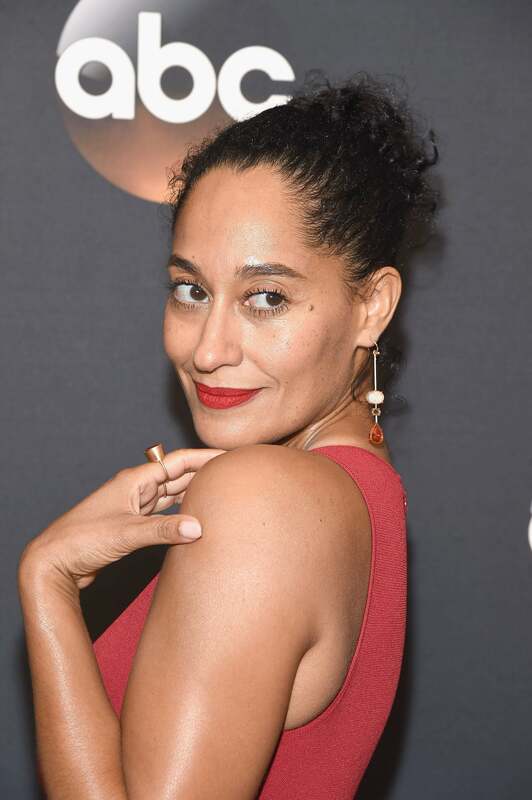 . . I’m 44, which seems appropriate that they would give out at a certain point!” Tracee combated her knee injury by trying Tracy Anderson five years ago, and she hasn’t looked back. As for the diet that’s keeping her body long and strong? 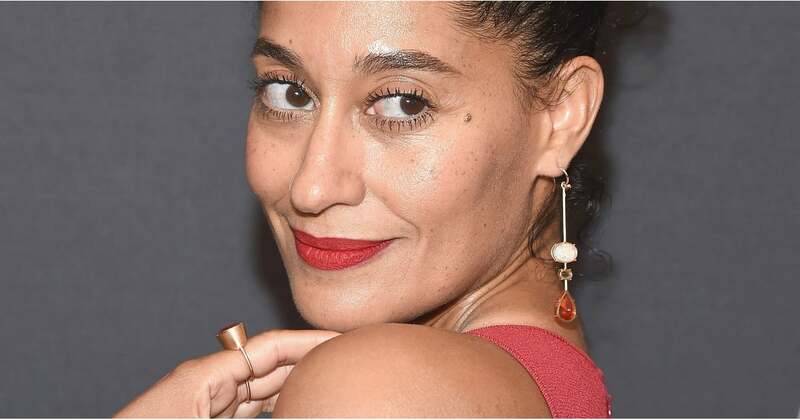 Tracee said, “I really love beautiful food” but “my schedule in the last three years since Black-ish started has not allowed me the space to cook, which is not great.” Because she can’t cook for herself often, it’s important that she sticks to her healthy lifestyle. That said, she does have her “vice” — salty foods. “I’m a big salty person; I love olives, I love potato chips, I love French fries. I eat a lot of all the other things that I eat [besides dairy, sugar, and gluten]. I am not somebody who will sit down and eat a small bag of potato chips . . . I eat the whole bag!” We’re really digging this balance she’s got goin’ on.